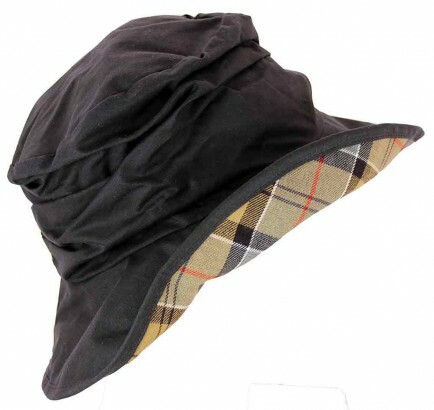 A stylish waxed Barbour hat for ladies with pretty rouching. The Barbour Ladies Wax Sports Hat Navy is an old favourite from Barbour in trusted 6oz waxed cotton. Features a polyester fleece lined crown for comfort. Available is sizes S to XL.